John Waters affiliated himself with the American Association of University Professors, the Society of Biblical Literature, and the American Academy of Religion. ATLANTA, GA, September 25, 2018 — Marquis Who's Who, the world's premier publisher of biographical profiles, is proud to present John Waters with the Albert Nelson Marquis Lifetime Achievement Award. An accomplished listee, John Waters celebrates many years' experience in his professional network, and has been noted for achievements, leadership qualities, and the credentials and successes he has accrued in his field. As in all Marquis Who's Who biographical volumes, individuals profiled are selected on the basis of current reference value. Factors such as position, noteworthy accomplishments, visibility, and prominence in a field are all taken into account during the selection process. Backed by 50 years of professional excellence, Dr. Waters worked as an instructor at the School of Theology in Boston University, an associate professor and director of Black Studies at the University of Detroit, a professor and adjunct at the Interdenominational Theological Center in Atlanta, and as senior minister of The Greater Solid Rock Baptist Church in Riverdale, GA. At the beginning of his ministerial career, he joined the Ebenezer Baptist Church, Boston, as its youth minister and minister of religious education. He has never strayed from the path serving God, working as interim minister for Myrtle Baptist Church in West Newton, MA, minister ad interim for Friendship Baptist Church in Atlanta, the Fellowship Missionary Baptist Church in Minneapolis, and now as senior minister emeritus of The Greater Solid Rock Baptist Church in Riverdale. Additionally, Dr. Waters has lent his services to Habitat for Humanity and the Clayton County Ministers Association and others regional and national bodies. An expert in his field, Dr. Waters holds a Bachelor of Arts in chemistry from Fisk University, a Bachelor of Sacred Theology and a Doctor of Philosophy from Boston University, a Doctor of Divinity from St. Thomas College, and certificates of study from the University of Geneva, Switzerland and the Howard University Divinity School. Throughout his career, Dr. Waters has received numerous fellowships through the National Fellowship Fund and the Fund for Theological Education including a Rockefeller Doctoral Fellowship in Religion. In order to remain aware of changes in the field, Dr. Waters affiliated himself with the American Association of University Professors, the society of Biblical Literature, and the American Academy of Religion, the Southern Baptist Convention and the New Era Missionary Baptist Convention of Georgia. For his excellence in education, he has been awarded many times, earning features in Who's Who in America, Who's Who in Religion, Who's Who in Medicine and Healthcare and Who's Who in American Education. Looking ahead, Dr. Waters intends to continue his impressive efforts in the field through writing and association with local churches and non-profits. 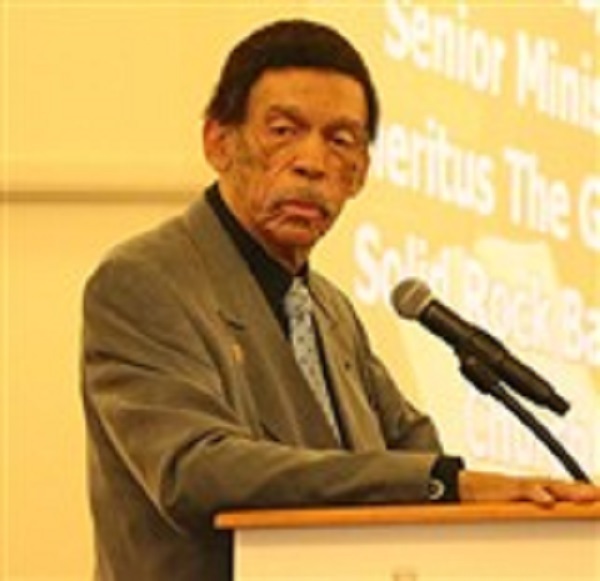 In recognition of outstanding contributions to his profession and the Marquis Who's Who community, John Waters has been featured on the Albert Nelson Marquis Lifetime Achievement website. Please visit www.ltachievers.com for more information about this honor.